US-based Annapurna TV, the producer behind Netflix movie The Ballad of Buster Scruggs, has added an Amazon drama executive to its growing scripted team. Patrick Chu has been named senior VP at Annapurna TV with a remit to develop and produce scripted projects. He will report to the firm’s president of TV, Sue Naegle. Chu has worked on shows including Hanna and The Hunt for Amazon. Before joining the streamer, he was VP of production and acquisitions at FilmNation. Annapurna TV has also promoted Ali Krug from VP to senior VP of TV, with the exec continuing to oversee shows in development and work on new projects. She has been at Annapurna TV since its launch in 2016 and is an exec producer on Netflix show Mixtape and FX drama The Changeling. Chu and Krug will work alongside fellow senior VP of television Susan Goldberg, with all three reporting to Naegle. Annapurna’s TV division was launched by US-based Annapurna Pictures in 2016, with Naegle joining later that year with a remit to build the label’s slate for broadcast, cable and digital platforms. 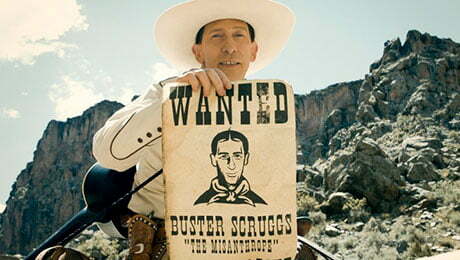 One of its early projects was Wild West anthology movie The Ballad of Buster Scruggs, from directing brothers Joel and Ethan Coen.